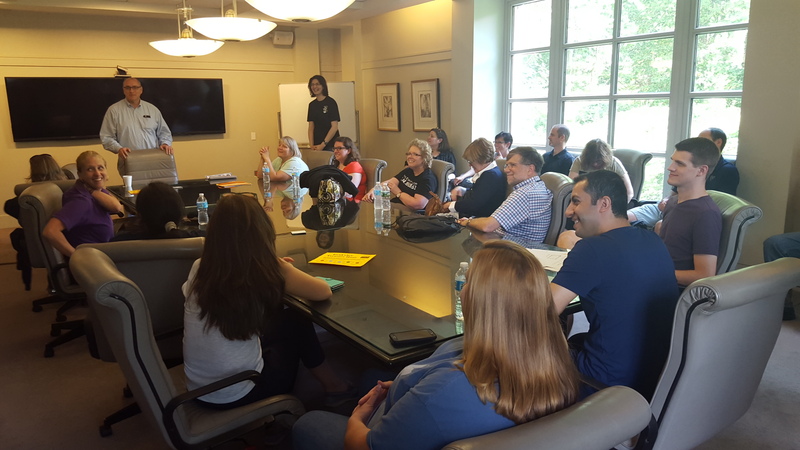 Recently, the Seidenberg School welcomed teachers and high school students from 10 states for free training as part of an NSA grant to promote K-12 cybersecurity education. The programs invited participants to visit Pace University’s Pleasantville campus for a week of cybersecurity education training. 25 high school teachers attended the first session, and 30 high school students the second. 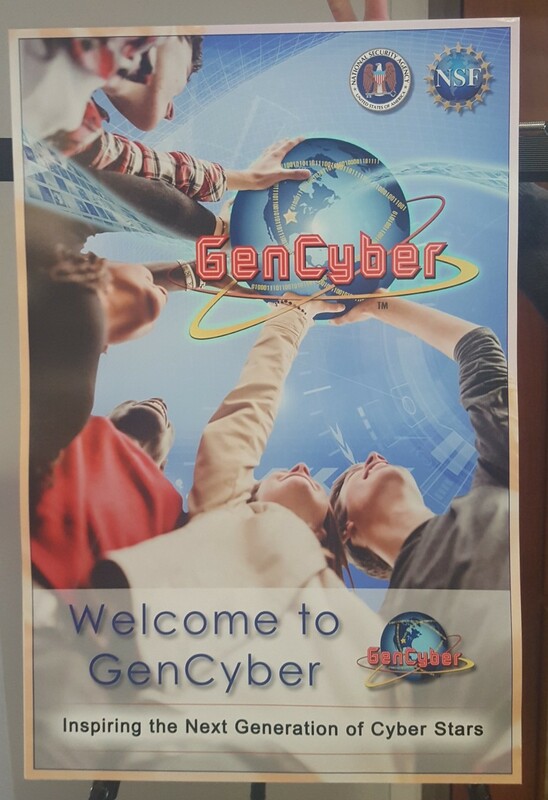 Since there’s plenty to cover, this post is all about the GenCyber teachers’ workshop and you’ll just have to wait for the next post to hear about Camp Cyberbot! 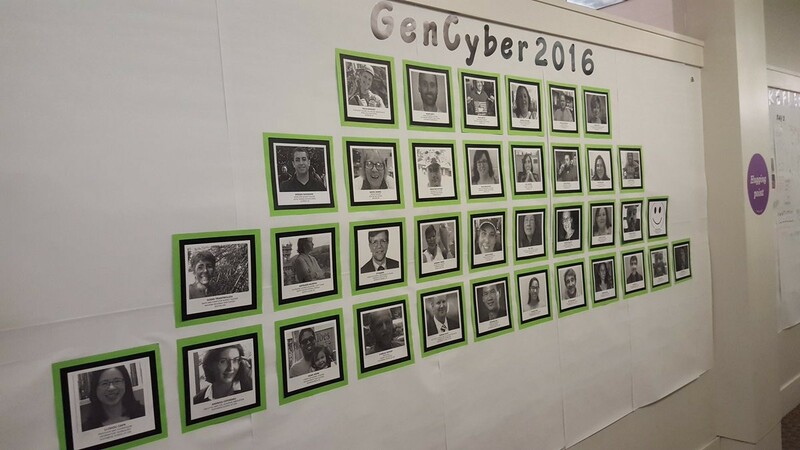 “The GenCyber summer programs aim to train the next generation of cybersecurity professionals by preparing our educators and by getting young students interested in the cybersecurity area, which is one of strengths of the Seidenberg School at Pace University,” said Professor Li-Chiou Chen, the principal investigator of the project. VanDyke was one of 25 high school teachers from 10 states who were at Pace University from July 14-22 to attend a program at the Seidenberg School of Computer Science and Information Systems. The school is the only one in the tri-state area (New York, New Jersey and Connecticut) to host the teachers’ cybercamp as a part of the national GenCyber program funded by the National Security Agency to promote cybersecurity education at the K-to-12 level. Teachers were introduced to Raspberry Pi, a tiny, inexpensive computer that makes it easier to teach computing concepts, such as encryption and programming in the classroom. After the GenCyber workshop’s conclusion, participants were awarded with certificates of completion. Next post, we’re talking about the second session, Camp Cyberbot, which saw high school students building underwater SeaPerch robots and testing them in the PLV campus pond!